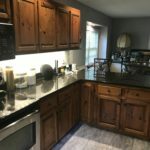 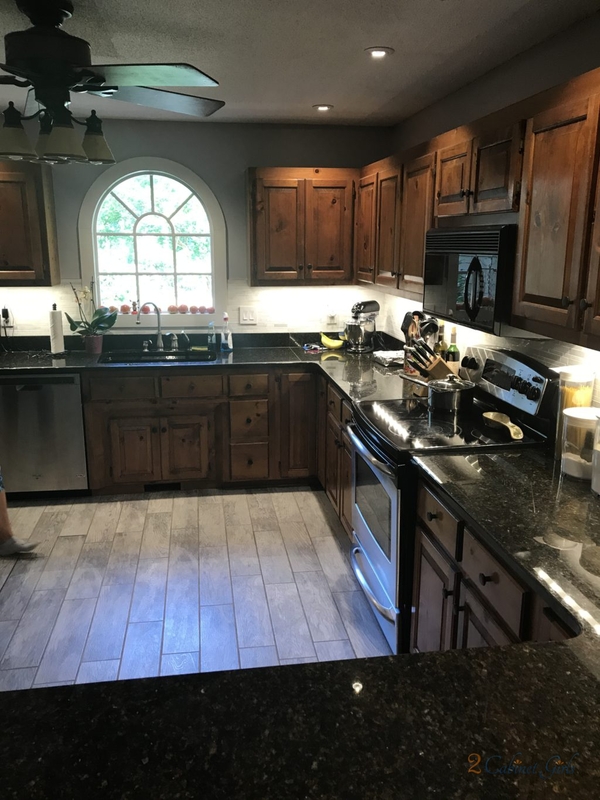 This dated kitchen was ready for some finishing touches. 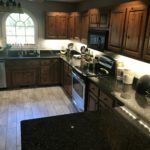 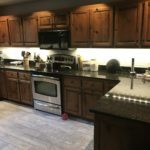 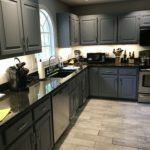 The dark stained pine cabinets needed an update. 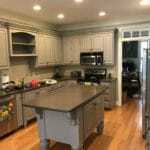 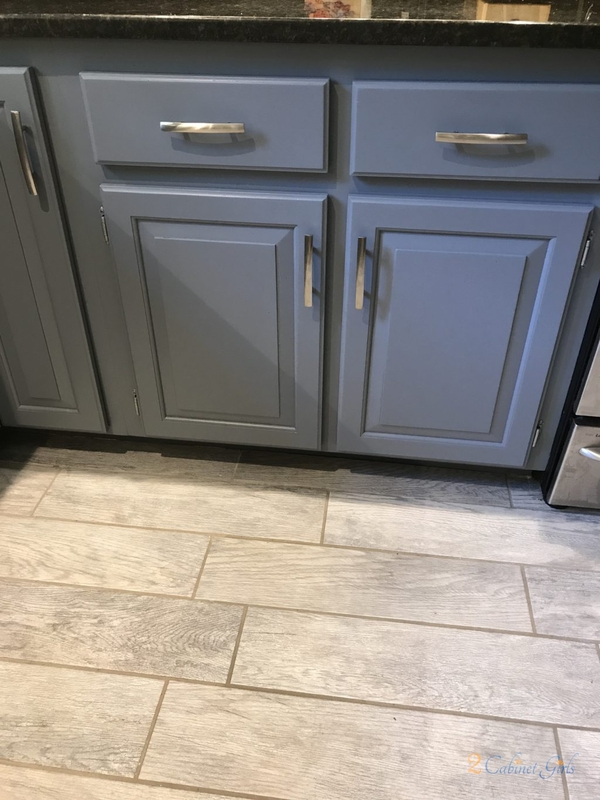 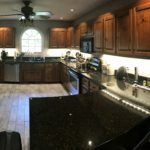 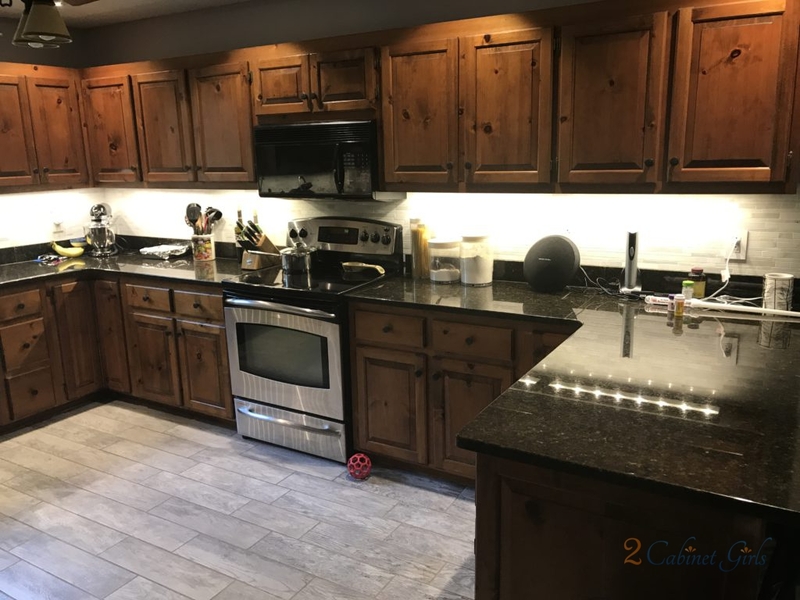 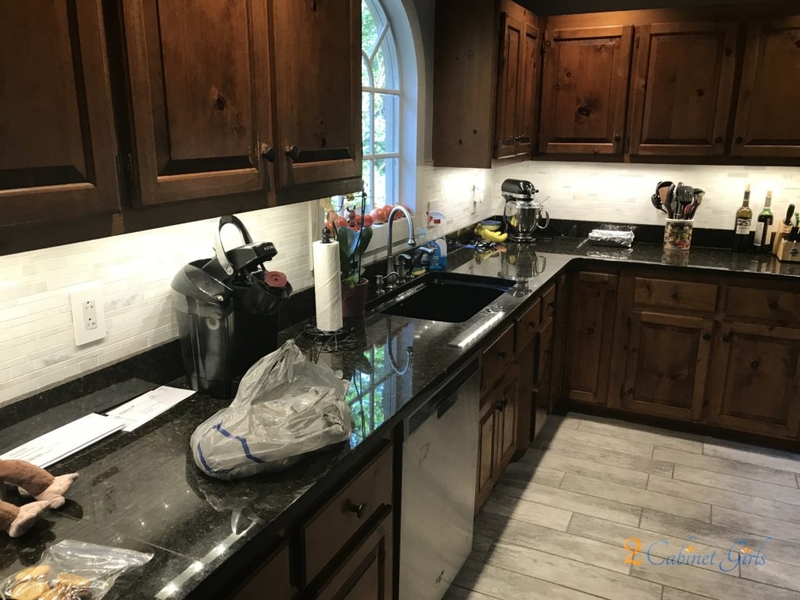 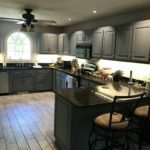 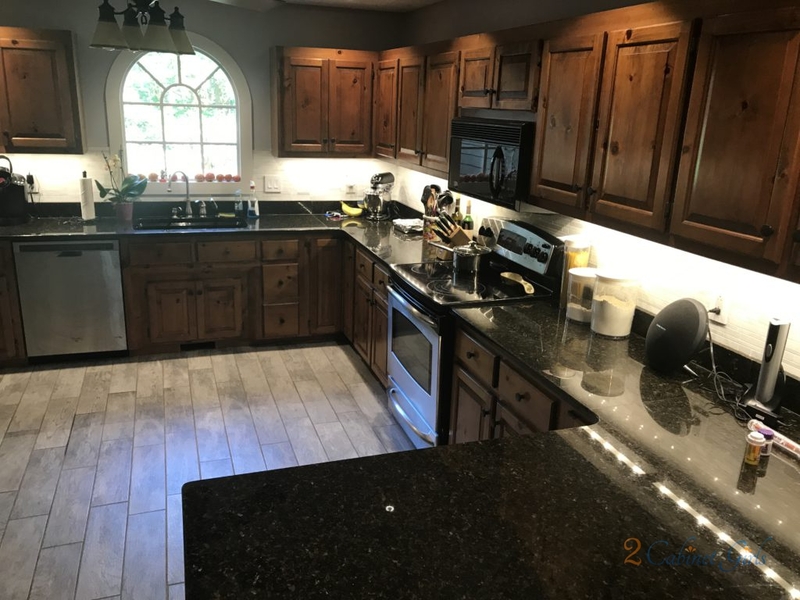 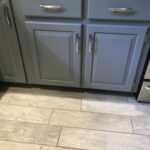 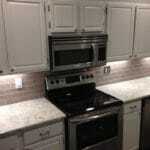 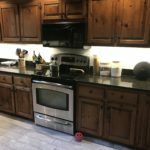 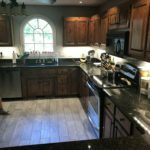 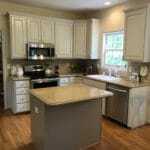 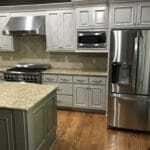 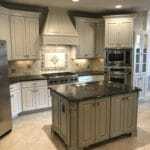 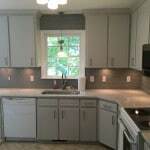 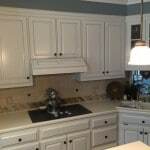 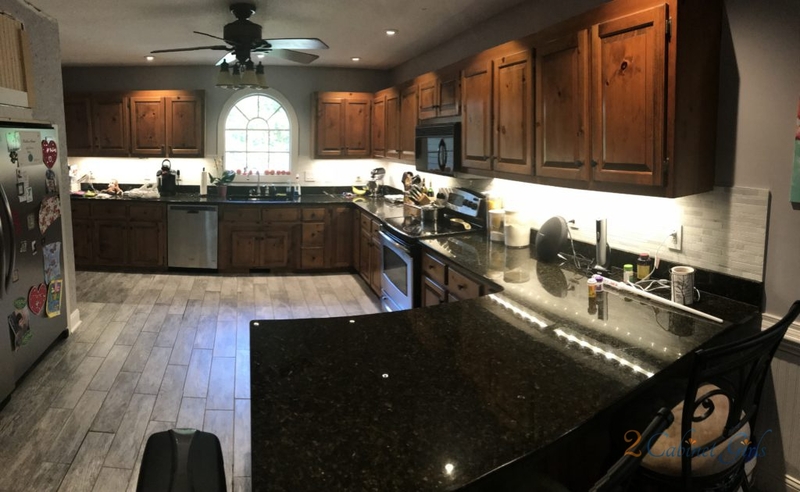 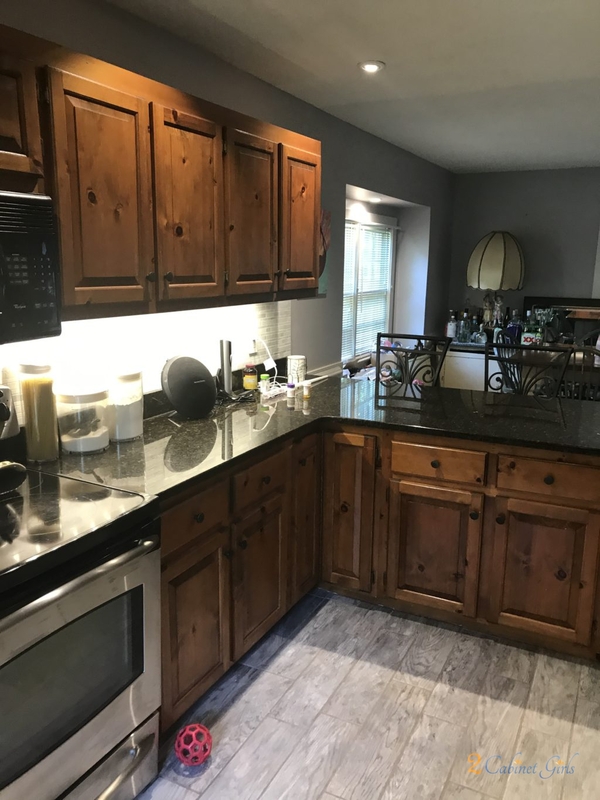 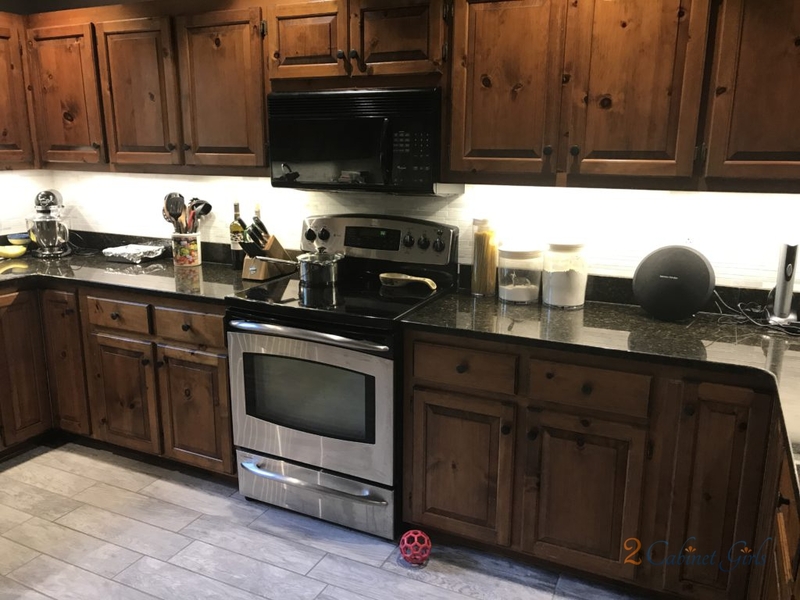 The kitchen had already received a new wood-look tile floor and a gorgeous tile backsplash. 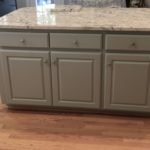 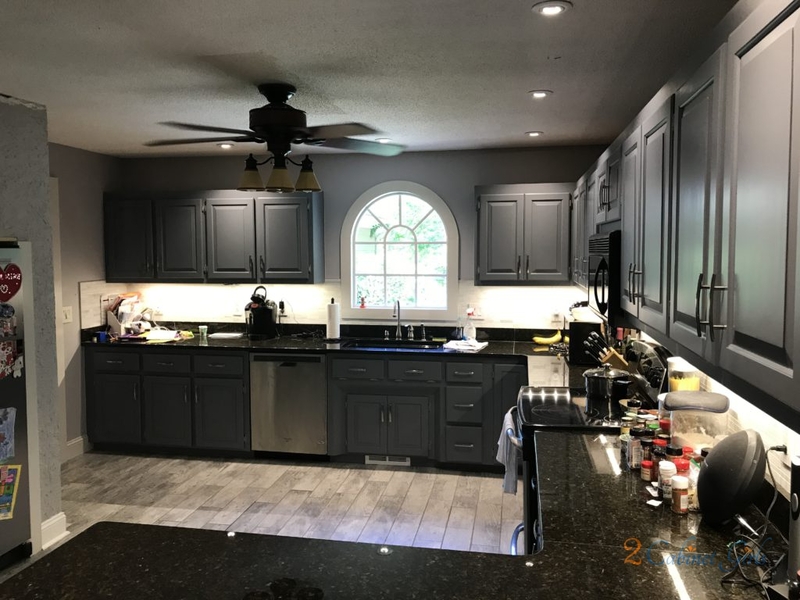 The last thing it needed was beautifully painted cabinets. 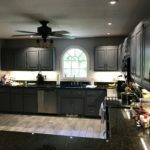 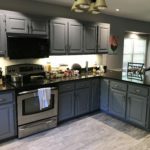 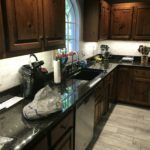 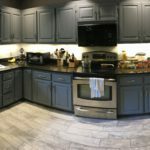 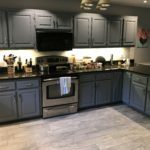 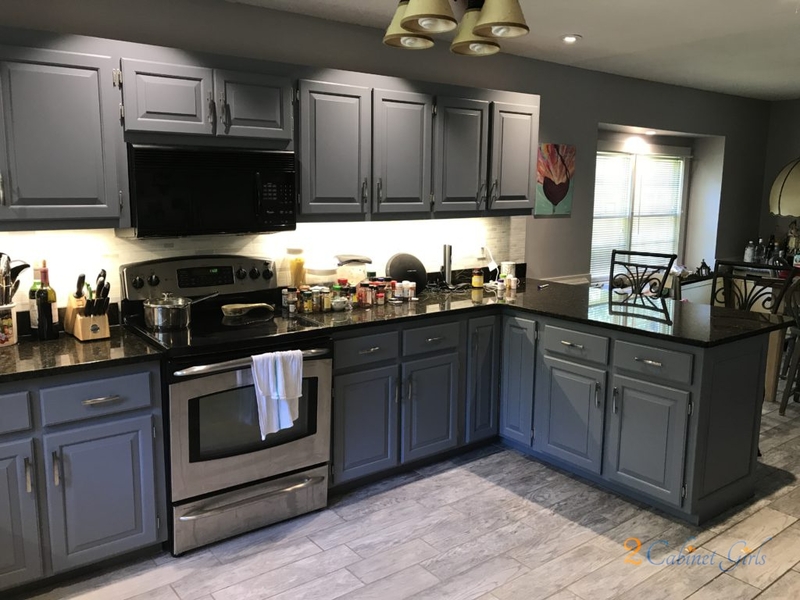 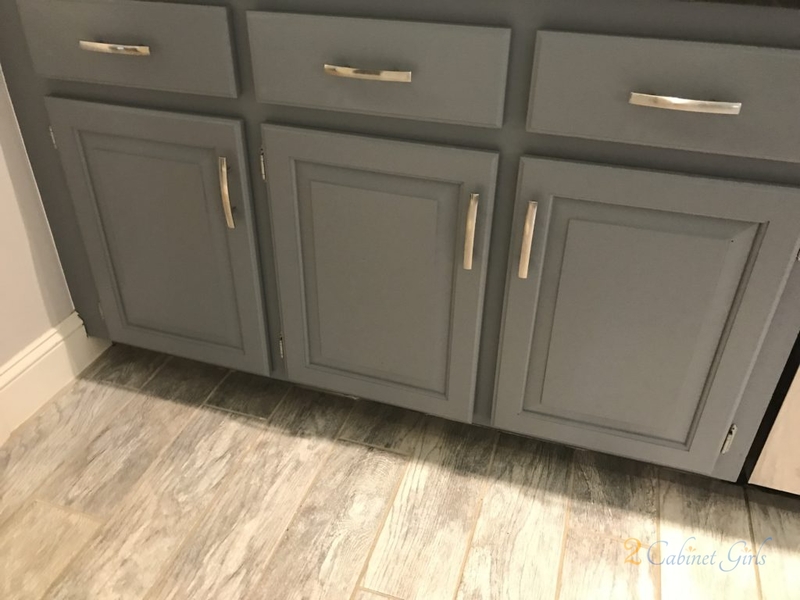 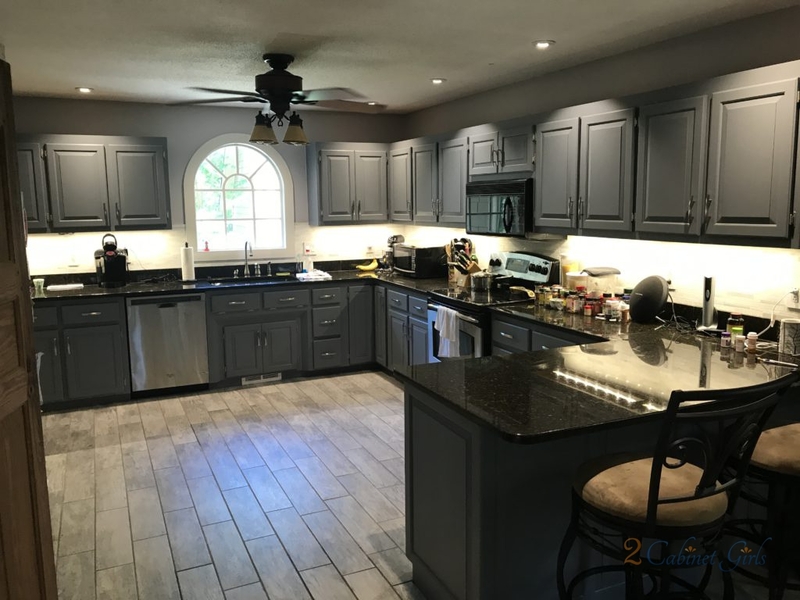 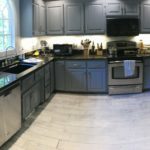 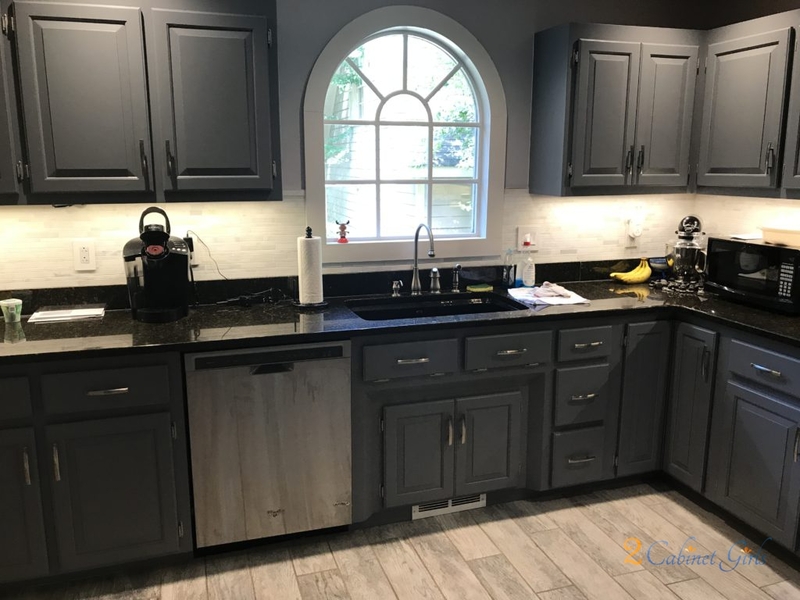 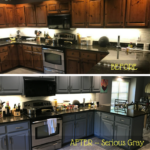 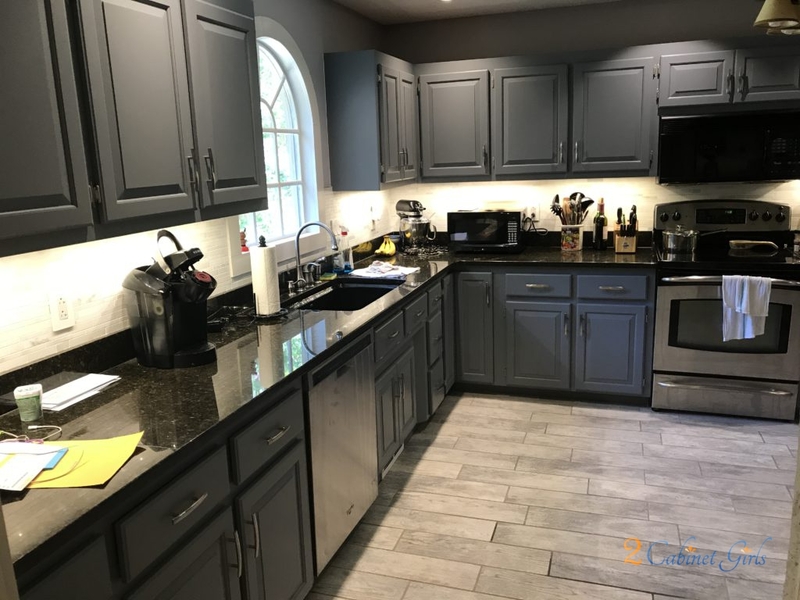 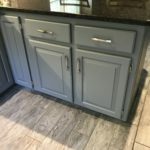 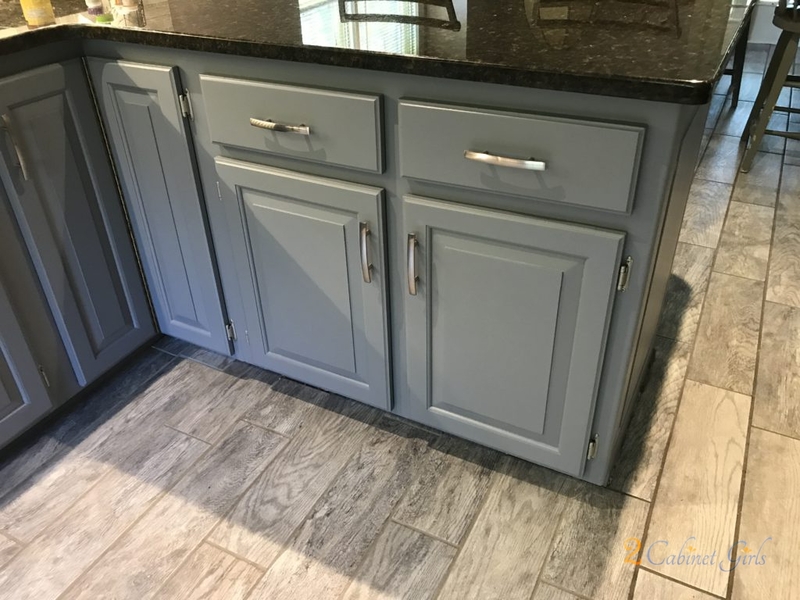 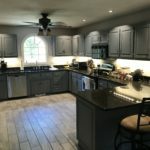 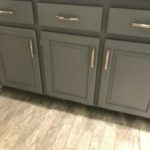 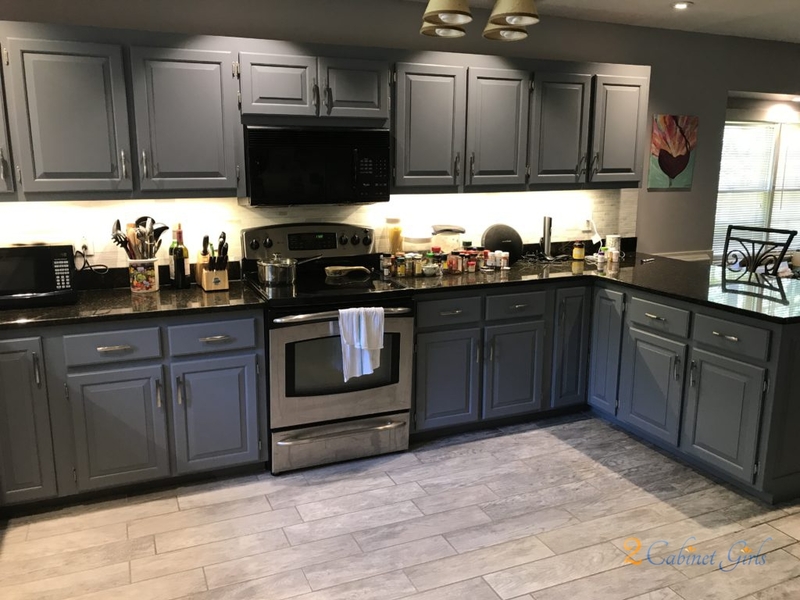 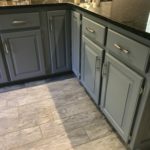 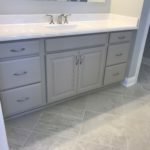 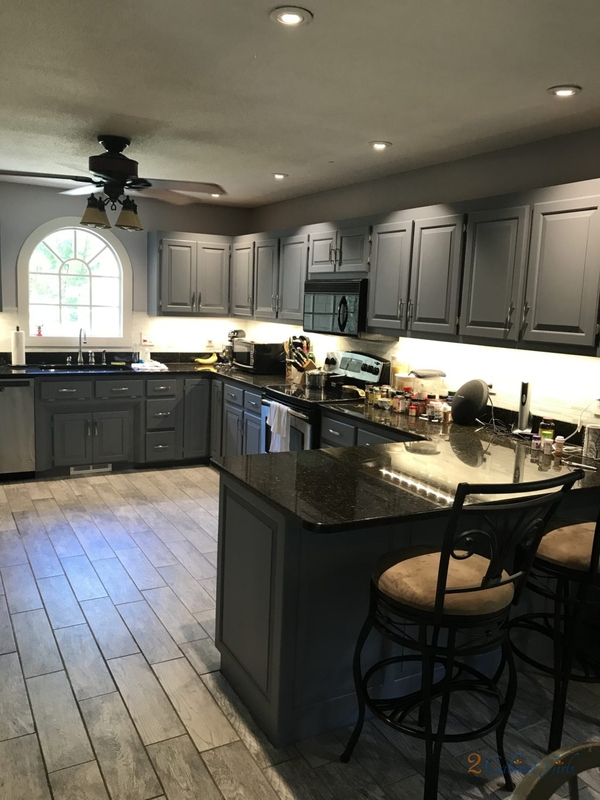 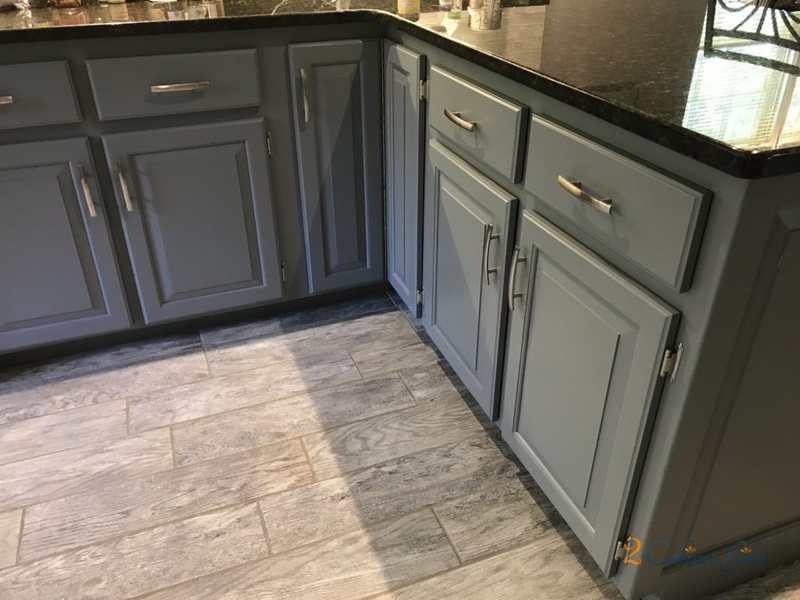 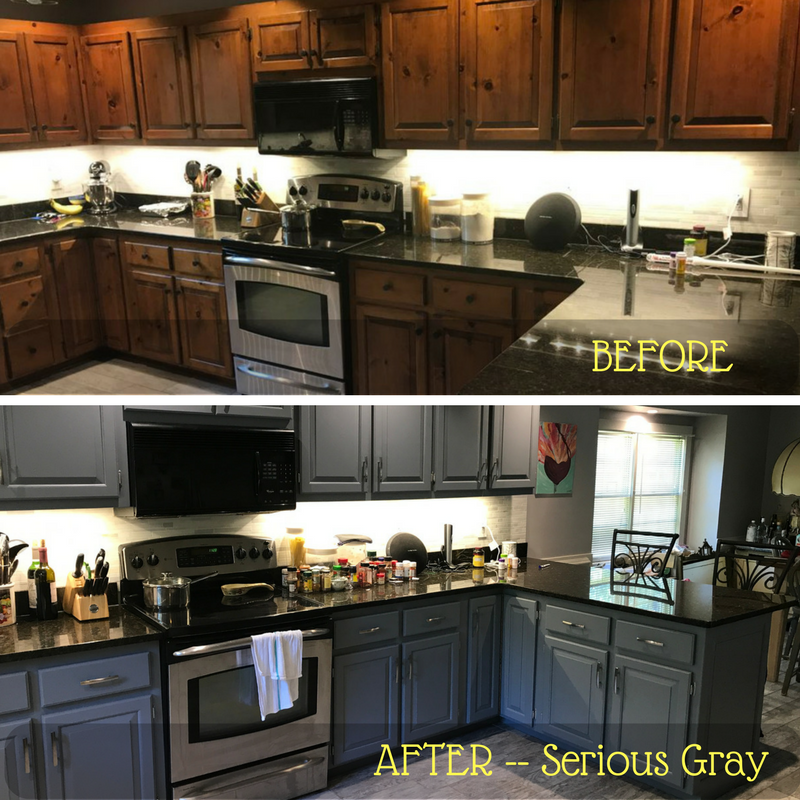 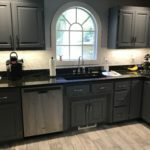 The homeowner chose Serious Gray from Sherwin Williams and the finished product is outstanding, if we do say so ourselves!